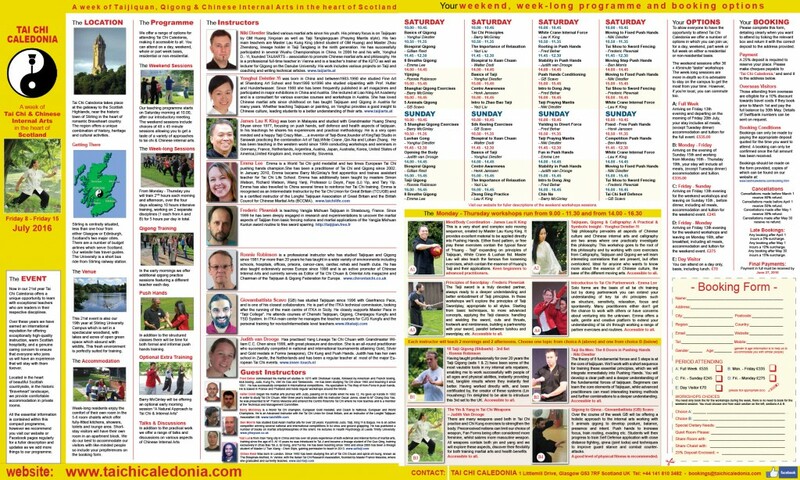 We are delighted to announce that our full program for Tai Chi Caledonia 2016 is now on our website. The printed program should be ready soon and we’d be delighted to send you copies my mail should you prefer. Above is an image of our program and if you click on it you’ll get access to a pdf program which you can print or forward to your friends. We look forward to seeing old friends and new at our 21st gathering, here in the heart of Scotland. This entry was posted in Uncategorized on December 6, 2015 by Ronnie Robinson.